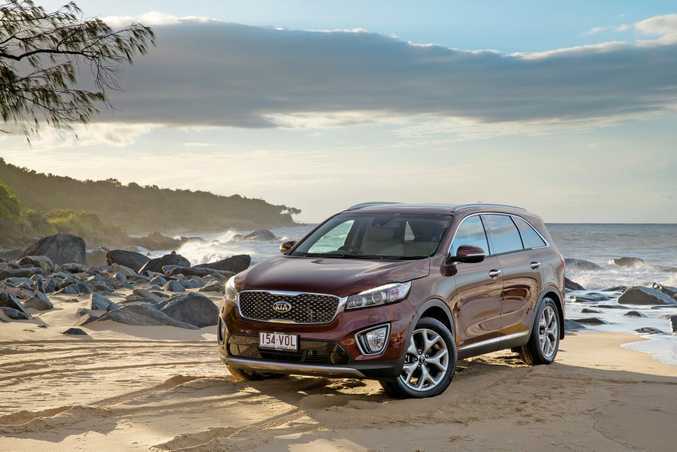 COMBINING performance with practicality and style has proved rather successful for the Kia Sorento, and the new third generation, on sale in Australia this week, aims to expand on those tenets. With two engines - a 3.3-litre V6 petrol and 2.2-litre turbo diesel - and three trim levels Kia is hoping this new Sorento becomes entrenched as a major player in the ever expanding SUV market. Both the V6 (199kW and 316Nm) and the diesel (147kW and 441Nm) are paired with a six-speed gearbox with the diesels also getting the more than useful all-wheel drive system. Prices range from $40,990 for the Si petrol through to $55,990 for the Platinum diesel. 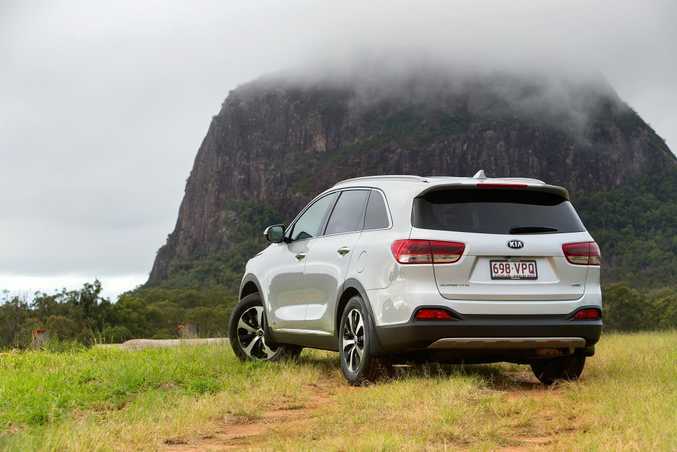 "There can be no argument that Australian new car buyers love their SUVs, and what this style of car represents in way of lifestyle choices," said Kia Motors Australia Chief Operating Officer Damien Meredith at the car's launch in North Queensland. "The rugged style, the space and the command driving position all hold the promise of adventure and lifestyle exploration while the sophistication, comfort, global 5-star safety, practicality and technology are a tacit admission that most of the car's life will be spent in an urban environment." There have been significant exterior styling changes with a new grille, wraparound headlights and a sleeker more athletic profile while the interior reflects a concerted attempt at an uncluttered but premium feel. The big news for this latest edition is overall refinement, a significant reduction in NVH and greater ride comfort. The fully-independent suspension retains the format of the outgoing model (MacPherson struts at the front and Kia's multi-link system at the rear), but features a range of modifications. At the rear, the subframe supporting the suspension has larger bushes to better isolate it from the cabin and the larger shock absorbers are now mounted vertically behind the axle line, improving body control. A Drive Mode Select system replaces the Flex Steer system on the outgoing model and allows the driver to choose from Normal, Eco and Sport mode which changes steering feel, performance and economy. Larger interior space for Kia's seven-seater SUV. 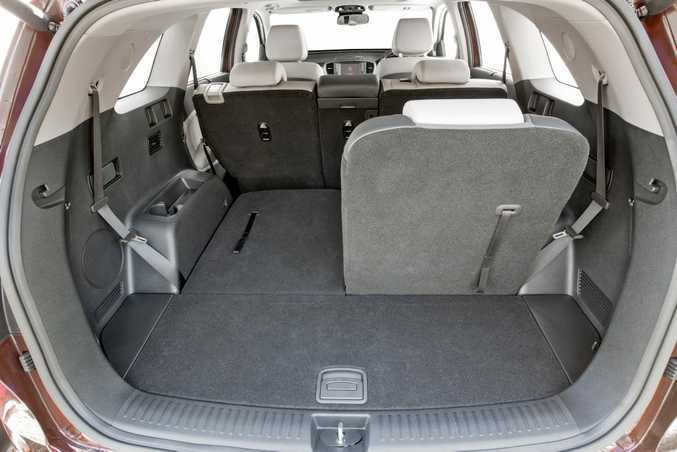 This Sorento is bigger, too, thanks to a longer wheel base which improves both cabin spaciousness and cargo room while repositioned seat cushions and the elimination of the centre tunnel means better leg and headroom for occupants of all three rows. On board technology has been improved as the Sorento aims to satisfy buyer expectation, a smart power tailgate (SLi and Platinum) which opens automatically when the key is sensed in close proximity to the trunk, just one of many innovative ideas. A seven-inch colour touchscreen is standard across the range as is sat nav, reverse camera and parking sensors. Safety is five-star ANCAP with all the usual inclusions while the Platinum grade also adds Lane Departure Warning, Smart Cruise Control, Blind Spot Detection and Rear Cross Traffic Alert to the driver safety aids. 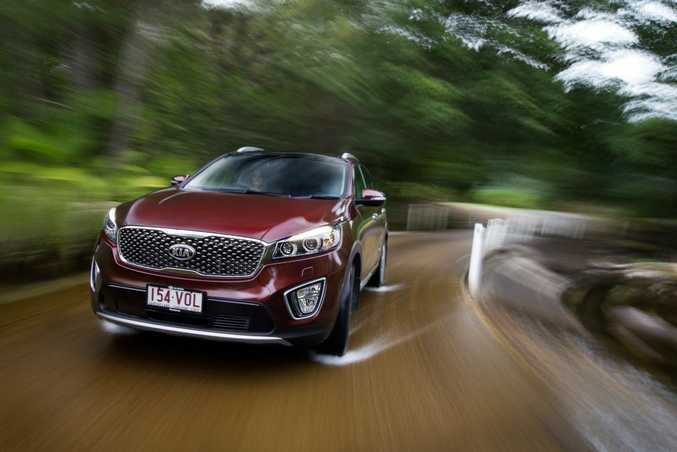 Australia's large SUV market is a tough one, but Kia's new Sorento hopes to make great strides.